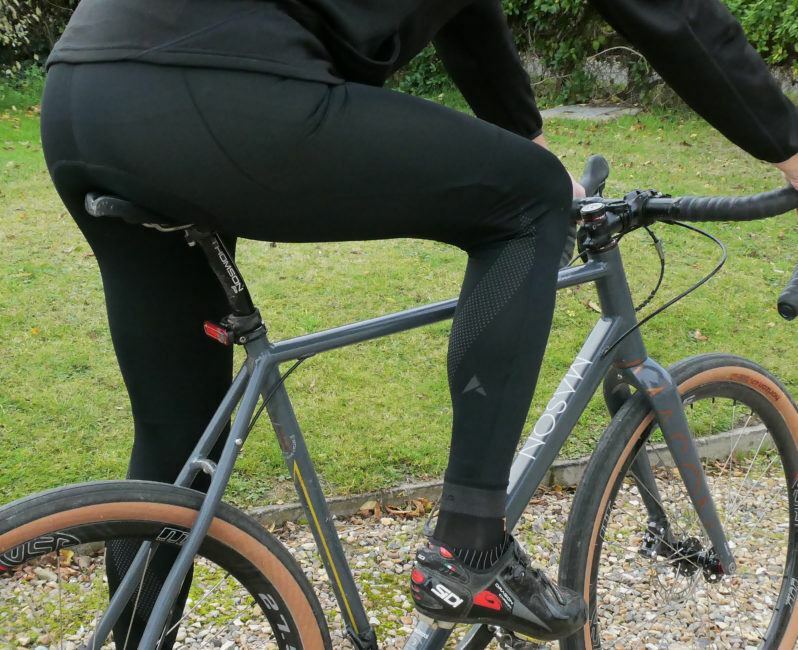 Review:Altura Repel Bibtights - ADVNTR. A mid weight bib tight with DWR treatment designed to keep you warm and dry throughout autumn and winter. They also benefit from “Darkproof” reflective material for added safety while on the road. I have worn the Repel Bibtights almost exclusively for some weeks now. The temperature has been as low as 3 degrees and as high as 17 or 18 degrees. The test period was predominantly dry. When it actually decided to rain, I was inevitably chained to my computer. 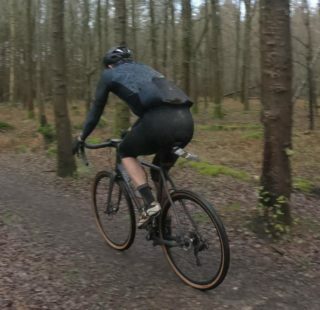 I made the most of the aftermath of any precipitation by riding in puddles, mud and filth, or simply sitting behind other riders for a while. I usually had to stop doing this when my glasses were covered in water and mud. Believe me, this wasn’t a cop out. I was very well acquainted with the elements by the end of these sessions! 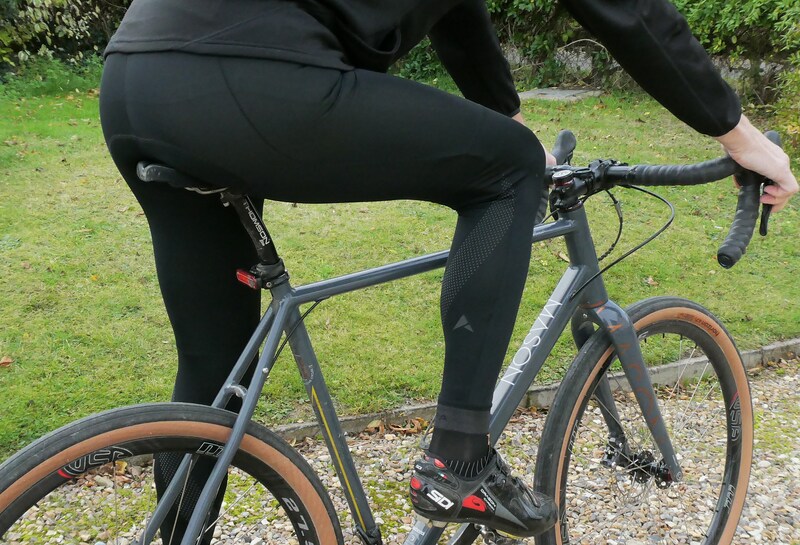 Altura claim these tights have a ‘second skin feel’. I can confirm this to be the case. They certainly leave nothing to the imagination! When I took them out of the bag I had a horrible feeling that I had been sent the wrong size as they looked tiny. I needn’t have worried, they fitted like a glove. Where possible, try before you buy, don’t go by visual impressions. I found the straps a little narrow. This is a personal thing and someone else may find them perfectly adequate. Having said that, they are not so narrow as to cut into your shoulders. 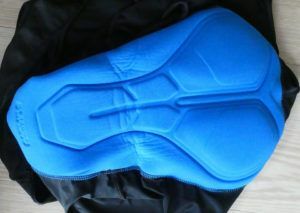 While riding, there is a tendency for some material to collect behind the knee. It is certainly not a major issue and after the first handful of miles, you tend not to notice it. It does not cause any discomfort, so maybe I’m being a little picky! The chamois seems a little meagre. It is definitely not as thick as the padding on other shorts. Let’s just say, I can feel the saddle rather more intimately than with other brands. Having said that, I have used them,on and off road, for rides between 30 and 80 miles, and I was never uncomfortable. I guess it is simply a matter of becoming used to something new. 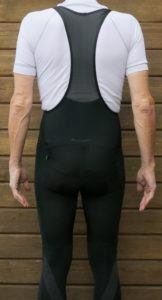 My ideal bib tights would incorporate stirrups rather than grippers. Sure enough, the Repel Bib tights use grippers! They were a little tight to get on and off for the first few times and made disconcerting noises as the material stretched over my feet and ankles. Ultimately however, the grippers worked a treat. They kept the leggings in place and were entirely forgettable (which is a good thing). One hint, make sure you put your socks on first, believe me, it is much less hassle in the long run! The fabric benefits from Durable Water Repellence treatment (DWR) which is there to keep you as dry as possible. In the cold and wet, I must say I didn’t notice much benefit from the DWR. It may be because it was so “brisk”, and the material is not the thickest. Splashes of water and mud just felt chilly and it often became impossible to distinguish wet from cold! To test the fabric as far as possible, I have left rear mudguards at home and ridden through as many puddles, and as much mud, as possible. I still finished up with the dreaded ‘soggy bottom’ but I suspect it wasn’t quite as soggy as it might have been! 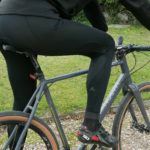 I am not going to rerun the test in non DWR shorts or tights so I am going to give Altura the benefit of the doubt here! The fabric not only claims to be water repellant but to be breathable too. Unless you overheat massively, this claim can be hard to test however, I think I am in a position to do so. The other week, we set out in 3 degrees but by lunchtime, the temperature had soared to the high teens. I was having real problems with the heat but at least, from the waist down, I was drier and more comfortable than I had any right to expect. 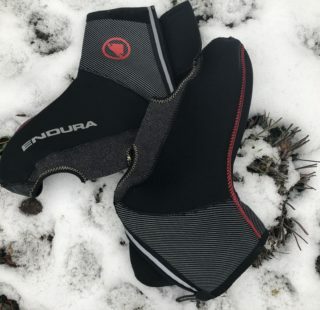 The Altura Repel Bib Tight is a good choice for autumn and early spring. I’m not sure I’ll still be wearing them when it gets properly cold though. 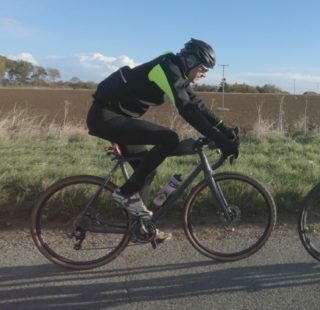 If it is below 3 degrees you might want something a little thicker or maybe put on a second pair of bib shorts to extend their use. Personally, I’d opt for the latter as I prefer not to have too much material around my knees. I have not had them long enough to comment on stitching around the chamois or indeed, anywhere else. All I can say is, there have been no issues so far. I can’t even spot the telltale loose thread that is often the sign of impending doom! If I have a criticism, it is that the internal seams (on the legs) stand proud of the fabric itself leaving red welts where they sit against your skin. Note however, you only really notice this when you get home. There are no issues with seams rubbing at all in high friction areas. 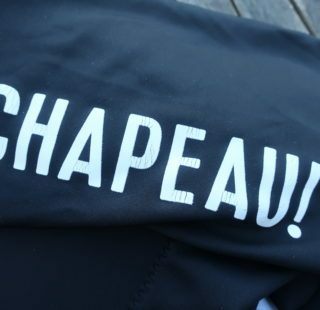 For the price, this is a good garment that I am happy to recommend. Altura might not be as fashionable as more expensive brands. 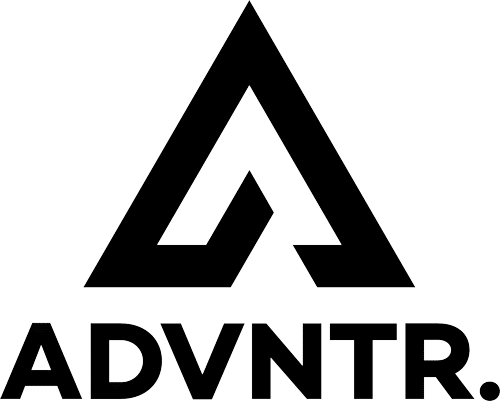 From what I have seen of their current range though, if you are influenced more by functionality than a trendy label, head on over to your local stockist and have a look. You might be pleasantly surprised. Well worth a look. 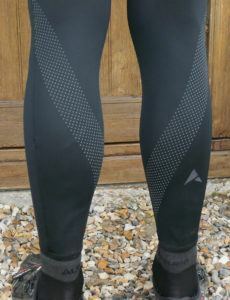 A good pair of bibtights for the early winter and spring.